Enhance your contributions as a board member by staying current on governance trends and drive positive change. 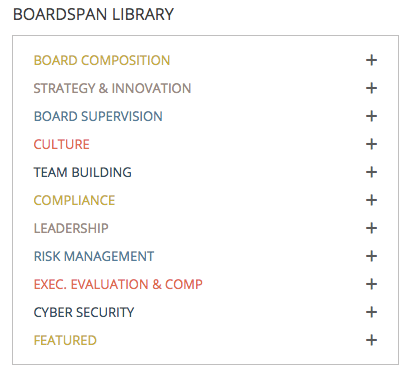 The Boardspan Library is an exceptional resource for board members. Representing the views of hundreds of board experts, the curated content available here is the quickest way to answer many of your board-related questions or to educate yourself on governance issues. Visit it today to develop your competence on all things board-related. 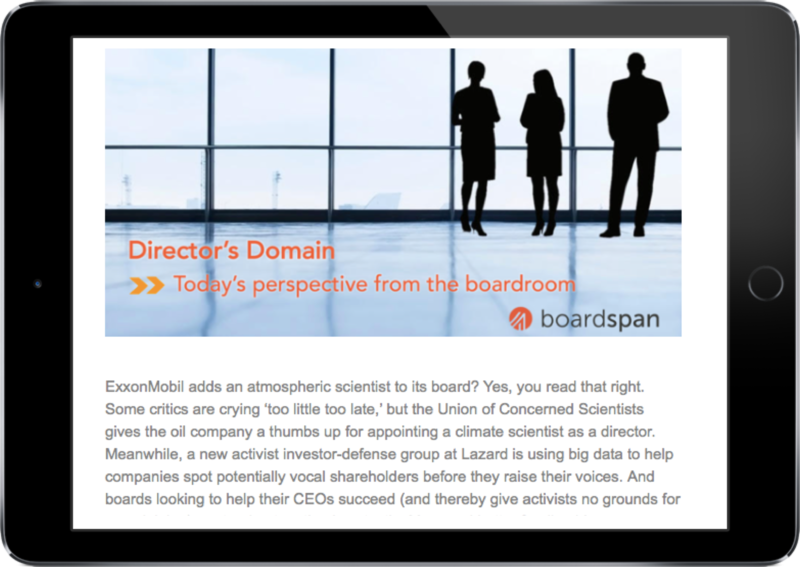 Boardspan’s weekly newsletter, the Director’s Domain, is the go-to source for board news, trends, analysis and more. Drawn from dozens of business, professional and academic publications, this news digest gives you a quick look at today’s board headlines plus links to more substantive stories, ensuring that you are always well informed. 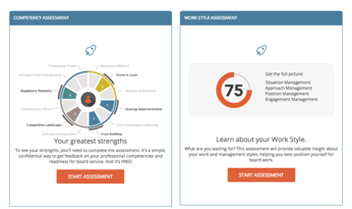 Boardspan's Competencies and Workstyles Assessments are designed to give you the self-knowledge and confidence you need to present yourself for new opportunities and successfully contribute your best ideas to boards you currently sit on. You can be the person to drive positive change on your board, bringing success not only at the board level, but to the entire organization. 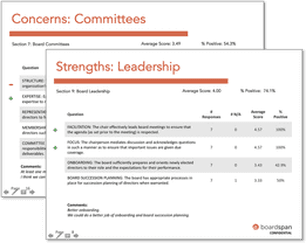 Learn more about Boardspan's board assessment, recruitment, and intelligence resources then introduce your board to a more effective, efficient future.